Beware of the Enterovirus 71 (i.e. 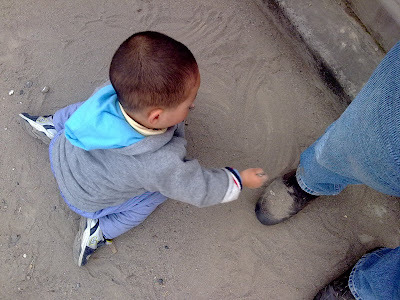 HFMD which is widely spread in China) if you determine to let your love ones to touch the public pavement and lawn. so lovely ,want to kiss him, little boy! Does little boy love to “play the sand “or “water” in common ? Maybe it has nothing to do with so-called dirty in their eyes! Very funny. I have been that broke as well.